This is significant. If true, it suggests that some of the oft-predicted indictments against people very close to the president, or even the president himself, will not come to pass. I'm aware that there are other matters still active before the Southern District of New York, but those are not relevant to the huge cloud that has hung over the country for more than two years: The issue of Russia's interference in the 2016 US elections. Of the indictments handed down by Mueller on this front, most have targeted Russian nationals. Zero have targeted Americans, as it pertains to collaborating with the Kremlin to influence the election's outcome. (4) It is possible that Mueller decided against recommending charges against Trump due to the dominant interpretation of DOJ guidance that effectively bars the indictment a sitting president. In other words, it's conceivable that Mueller has prosecution-worthy information against Trump, but feels constrained by his understanding of the existing rules. We will know more when the report is released (and I'm confident it will be). But let's say there really was a charge-worthy conspiracy involving the president. Wouldn't it likely follow that additional high-level indictments would be handed down as a result of that discovery? Maybe Mueller feels like he can't slap Trump himself with charges, but he certainly could do so against literally anyone else. It looks like he hasn't, and won't. And that reported fact very much appears to be quite good news for Team Trump. (5) As the president's defenders have often said, collusion is not a crime. Criminal conspiracy is. To that end, it's more than plausible that Mueller uncovered profound (even impeachable) misconduct that nevertheless did not rise to the level of being criminally prosecutable. We can't know whether that's the case until we see the report itself. (6) AG Barr vowed in his confirmation hearing to make as much of the Mueller report public as legally and ethically permissible. There will likely need to be some redactions for national security reasons (sources and methods, etc), and possibly to protect certain people's testimony. But overall, an expansive release is vital. The American people deserve a full accounting after all this time and controversy. (7) For the reasons outlined above, it is premature for Trump supporters to celebrate, or for Trump critics to spin. There are just too many unanswered questions left on the table. (8) On the other hand, the goalposts cannot be allowed to shift if Mueller's overall verdict is a vindication of the president. Pivoting to fixating on other investigations, or endless prattling about loose strands, should be regarded as desperate deflections. The core issues here are Russia collusion and obstruction. If -- if -- Trump more or less receives a clean bill from Mueller, even if he's slapped on the wrist for poor comportment, unwise hires, etc., that would be a huge deal. It could not be downplayed. 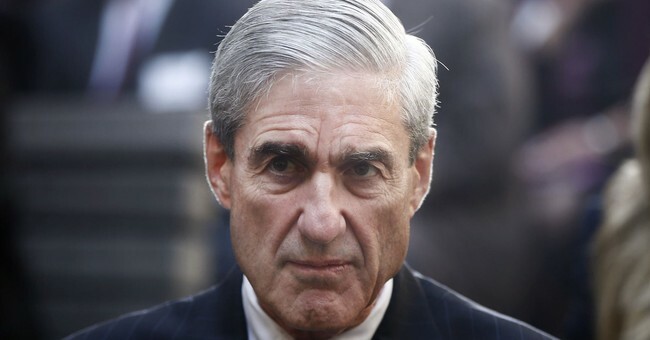 Mueller was and is the gold standard, as the anti-Trump movement has been telling us for many months. Yes, knee-jerk on both sides may well shift their views on Mueller's integrity and credibility depending on the outcome he produces. Hacks will hack. But fair-minded people will hopefully see the truth with fairly clear eyes. (9) What an achievement by Mueller to go about his business for almost two years, almost never making a peep outside of court and court documents (and exceptionally rare press statements). Hats off. (10) Re-read item one. It's the most important takeaway, bar none. And now we wait. I'll leave you with my radio segment from earlier emphasizing a number of these points.